Members of the Portuguese community greet one another before Mass. 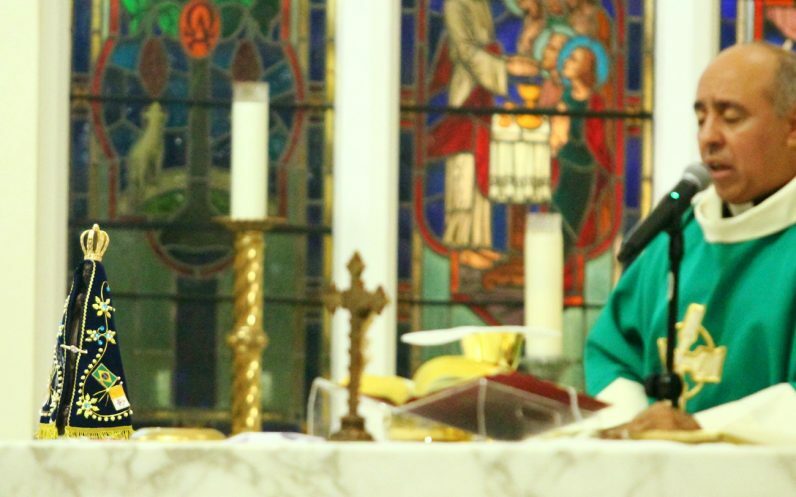 Erico Morais from Northeast Philadelphia prays before Mass. 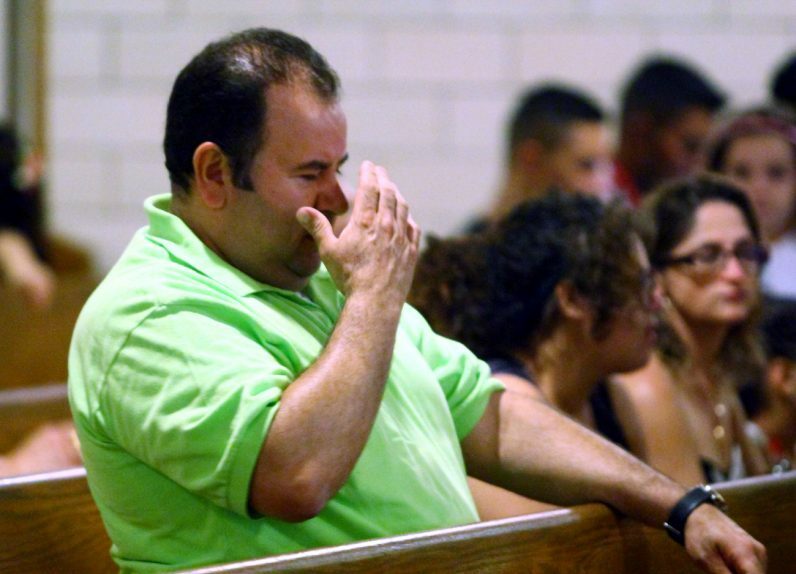 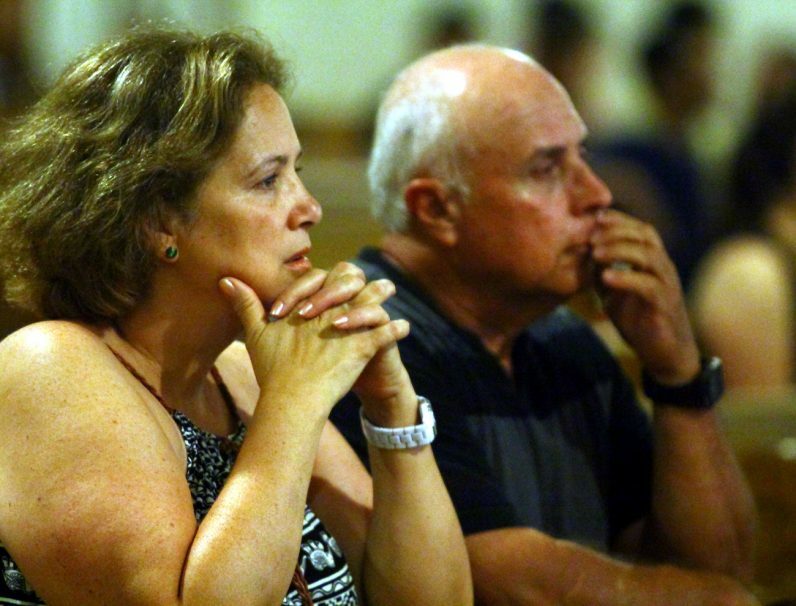 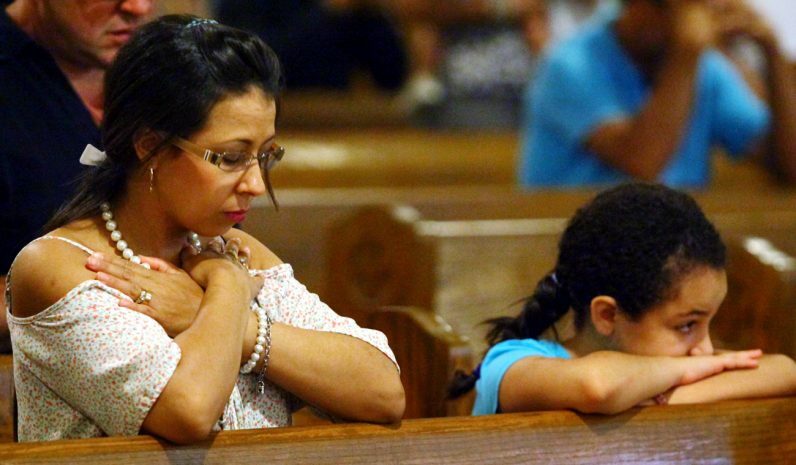 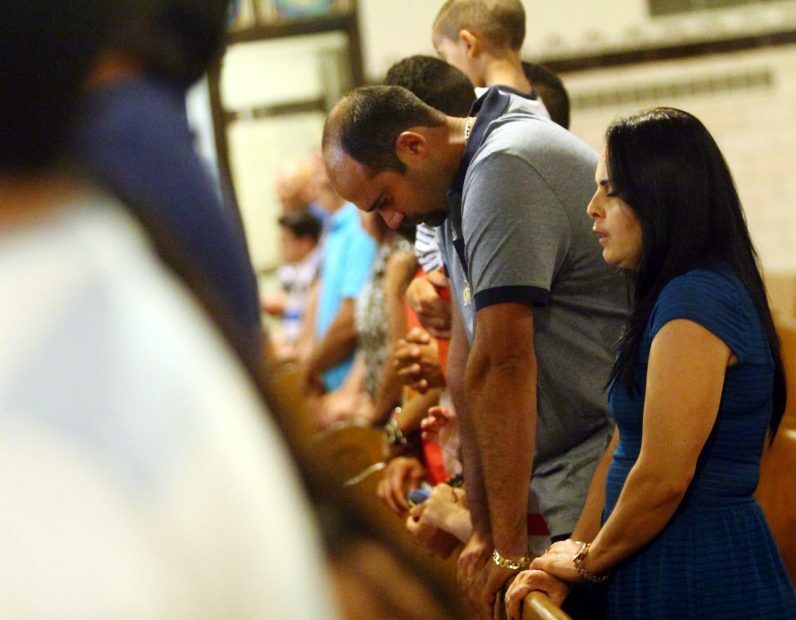 Norma and Ronaldo Cunha pray during Mass in Portuguese at St. Martin of Tours Church in the Oxford Circle section of Philadelphia. 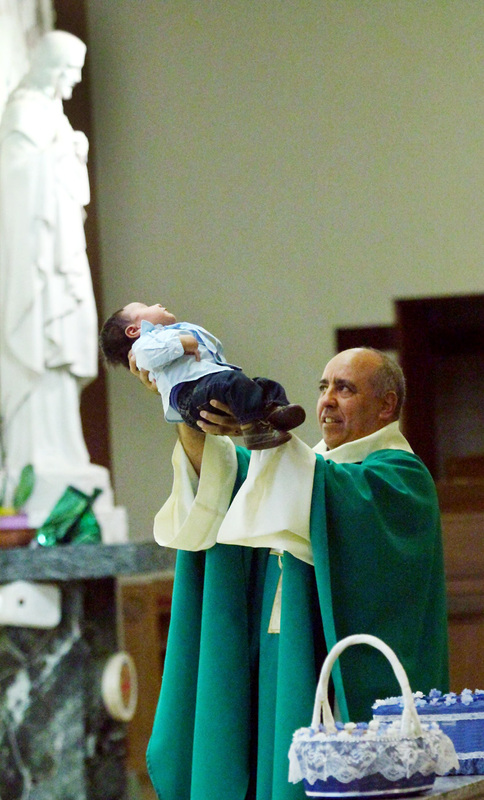 Father Rodolfo de Vasconcelos presents newborn Christian de Oliveria before the altar. 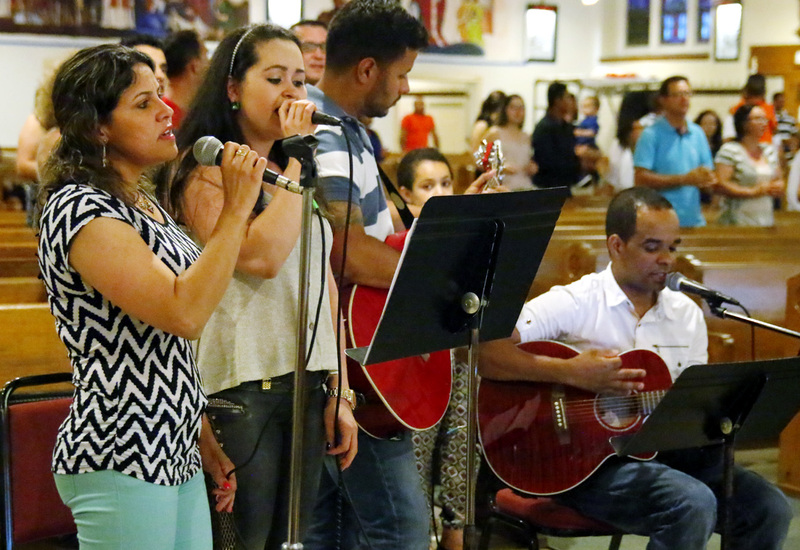 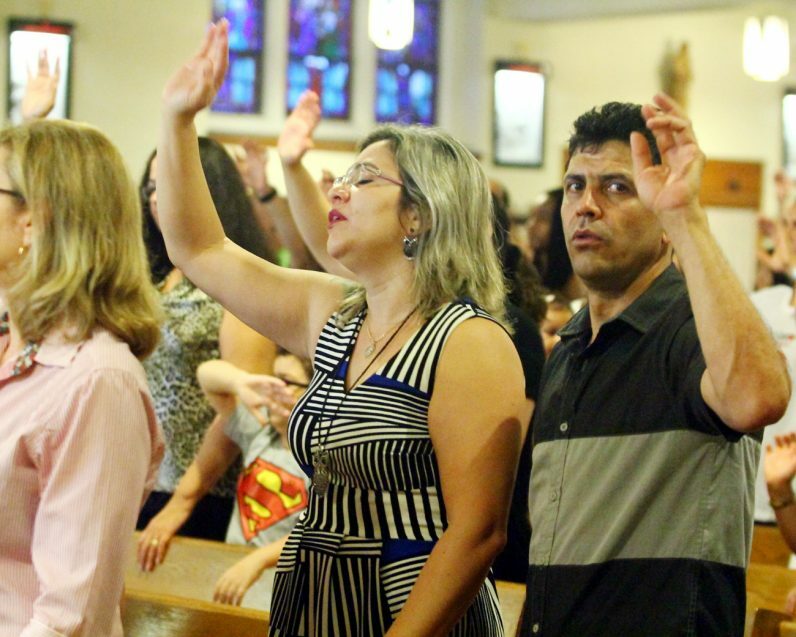 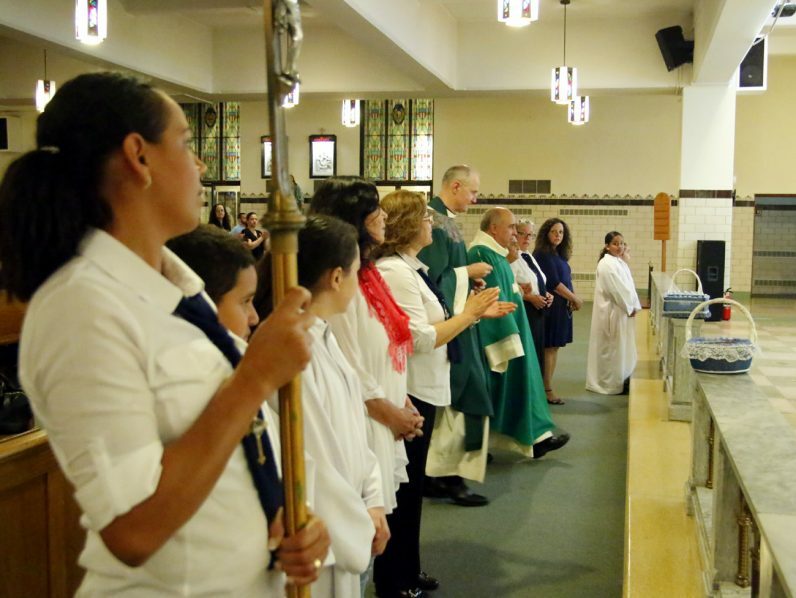 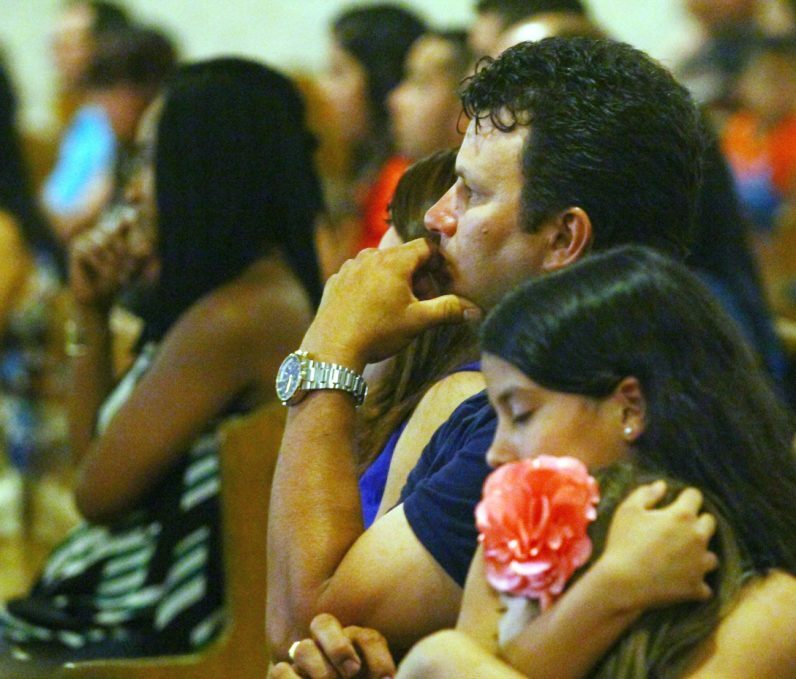 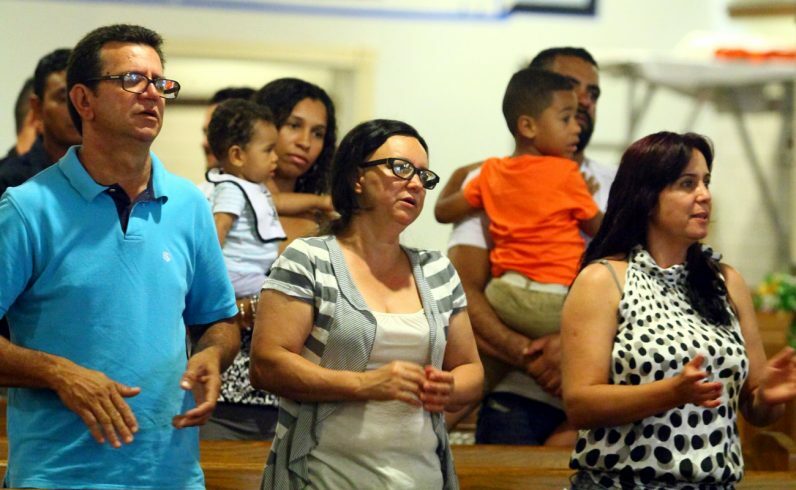 Father Rodolfo de Vasconcelos celebrates Mass in Portuguese on Saturday, June 6 at St. Martin of Tours Church in Philadelphia. I have been a part of the St Martin Community for 16 years and the last 5 years, under Pastor Fr. 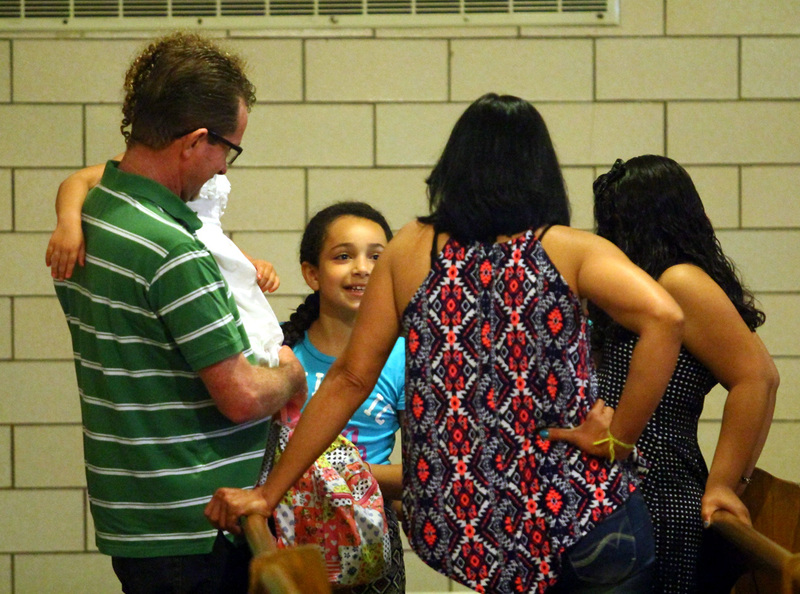 John Meyers, has grown in diversity in the english community even more. 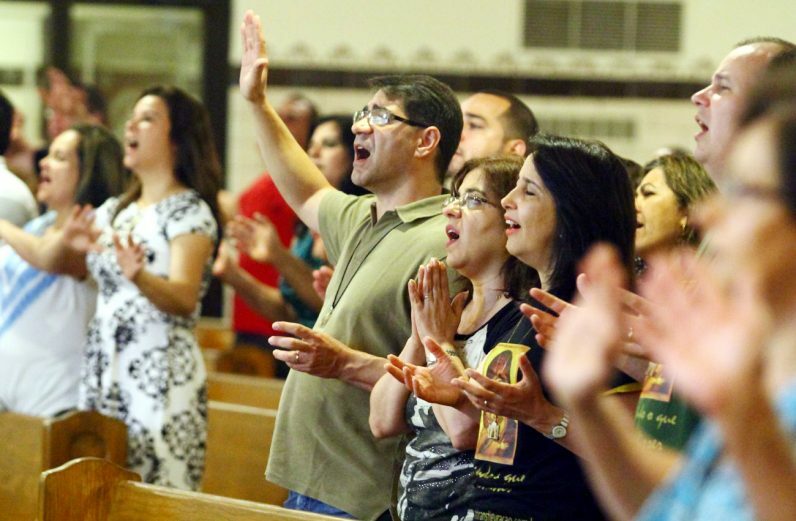 With a influx African American Catholics along with increasing numbers of Chinese and Vietnamese the attendance at the english speaking Masses is holding it’s own. 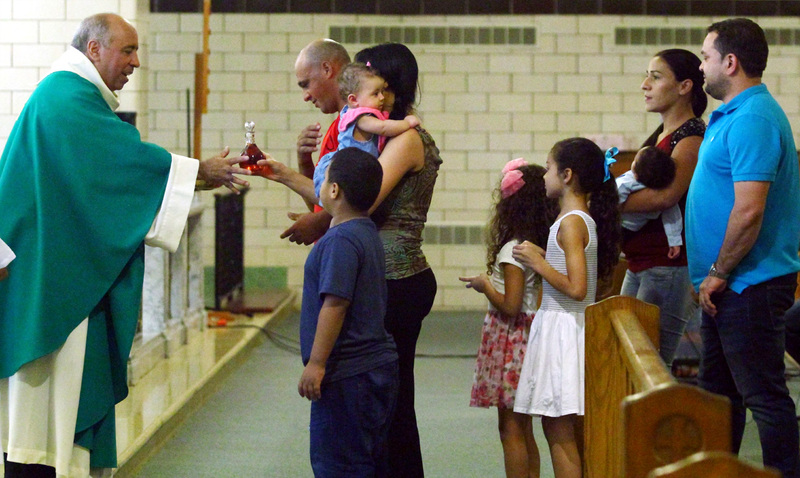 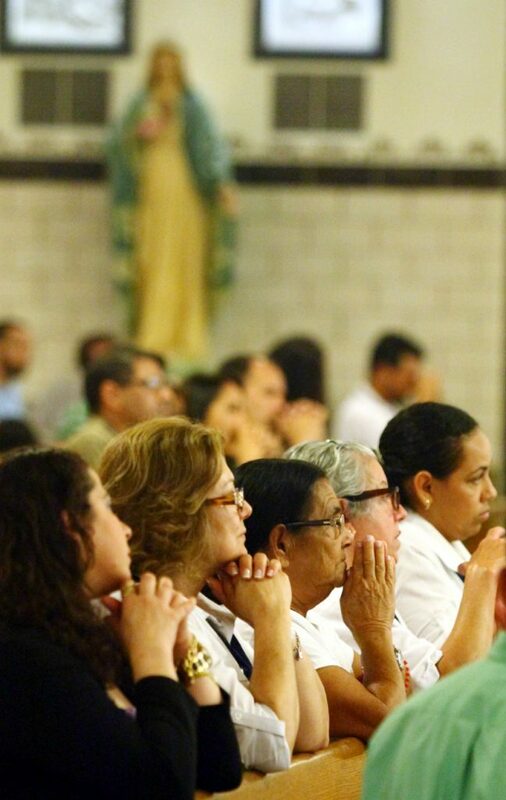 Under Fr Meyers, all the communities are encouraged to blend and attend the primary Masses. 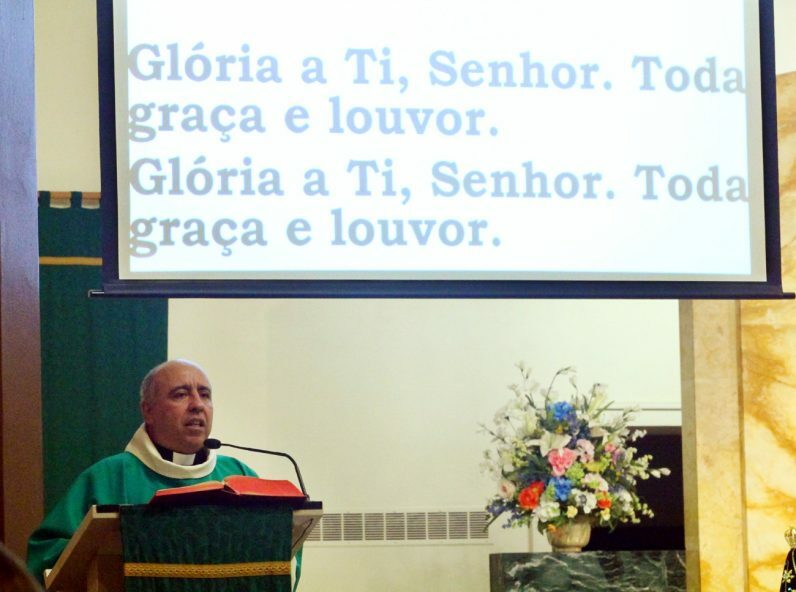 He himself speaks Spanish and can understand some Portuguese so he serves all the people in the Parish since the priests assigned to the Spanish and Brazilian Communities are only at the parish part-time and he is the only full time Priest at the parish. 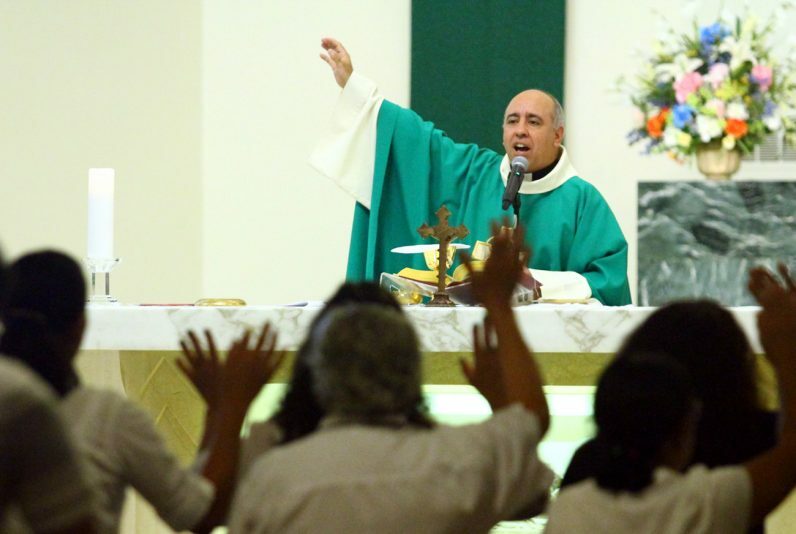 We even share our assistant Pastor. 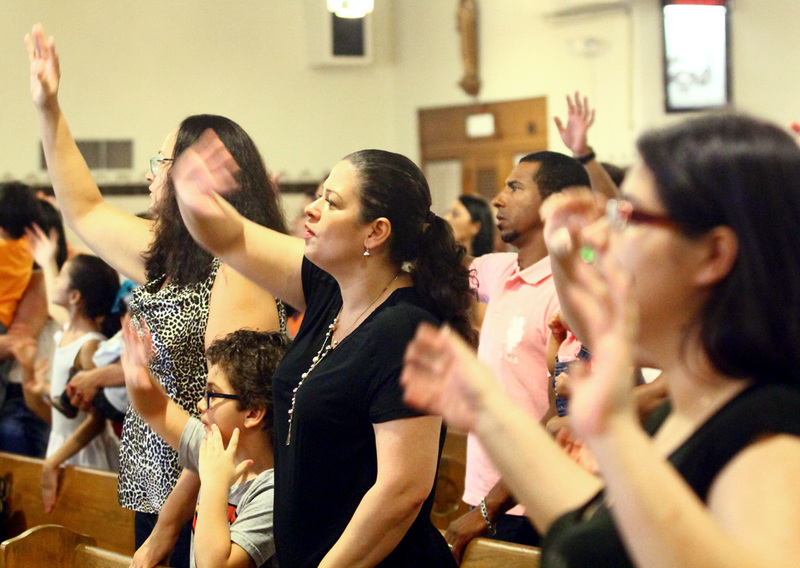 All are welcome to share together the Community of Faith.